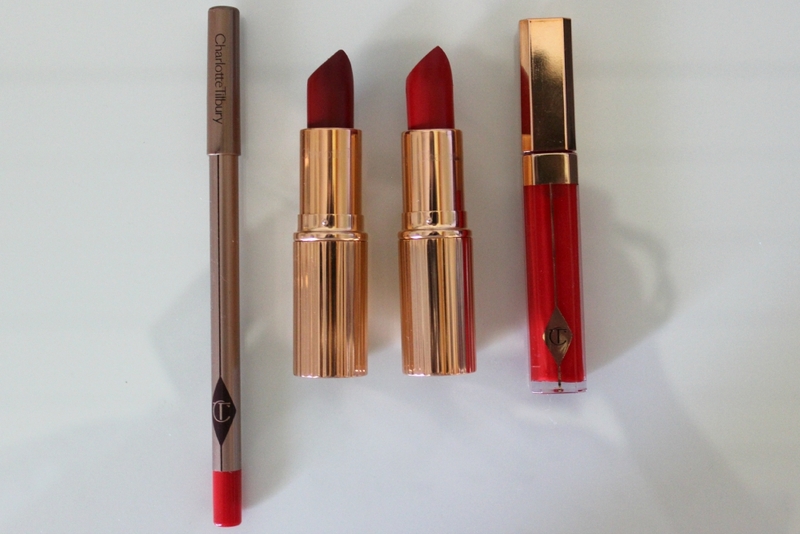 It's later than I planned, but I'm finally reviewing the Charlotte Tilbury lippies. But can we just take a second to appreciate the gorgeous rose gold packaging? Personally, I'm not one to wear red lips very often. I feel so much more comfortable in pinkie shades then bolder colours. So I may have a bit of a bias opinion when it comes to this review. I'll start by saying these lipsticks are incredibly pigmented--almost too much for my taste and fair complexion. 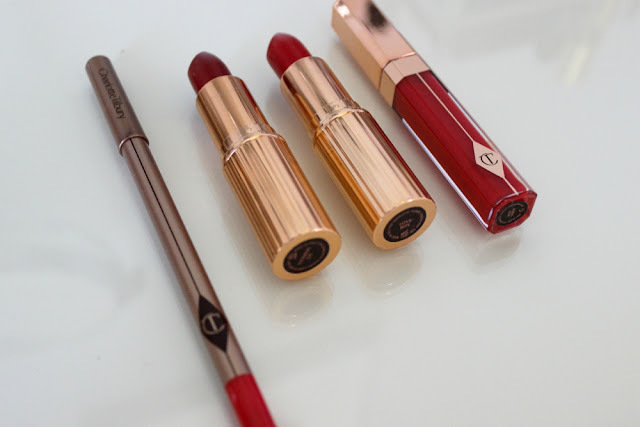 "Love Bite" is a very classic red shade, with a bit of a blue undertone, whereas "So Marilyn" is a very burgundy, deep red shade. Both lipsticks are very creamy, and surprisingly long wearing. They stayed put through a tea date and lunch. I'm really excited to wear these shades closer to Christmas, because they seem like they will last through even the most intense Christmas dinner. As for the Lip Cheat Re-Shape and Re-Size Lip Liner in "Kiss N' Tell", I think it's fairly good. I don't have a lot of experience with lip pencils (I can't be bothered with that extra tedious step in the mornings). This product did feather out a bit during the day, but it wasn't too noticeable. Lastly is the lipgloss in "Red Vixen". I find this is a great wearable shade. I wasn't sure how I thought about a red lipgloss, but I've been wearing it a lot lately. I like to apply it to the centre of my lips, and blend it out with a Q-Tip, so it's not too glossy, but still has a nice hint of colour. 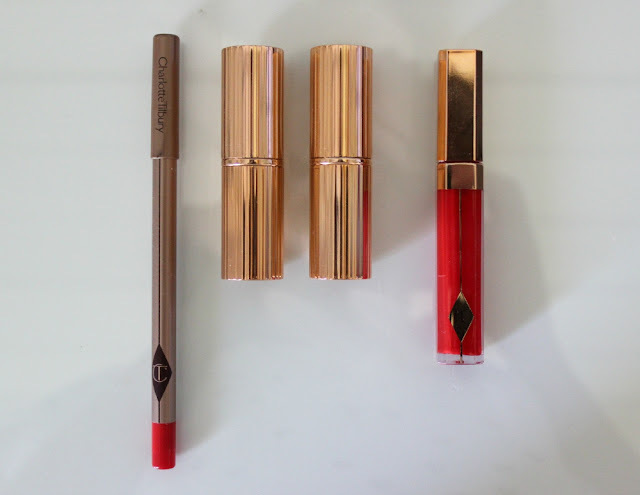 Overall, I like the lip products but for the price, they are definitely not my favourite. Again, I'm so lucky to have been given the opportunity to try these items, and I think I'll get some more wear out of them when it cools down.